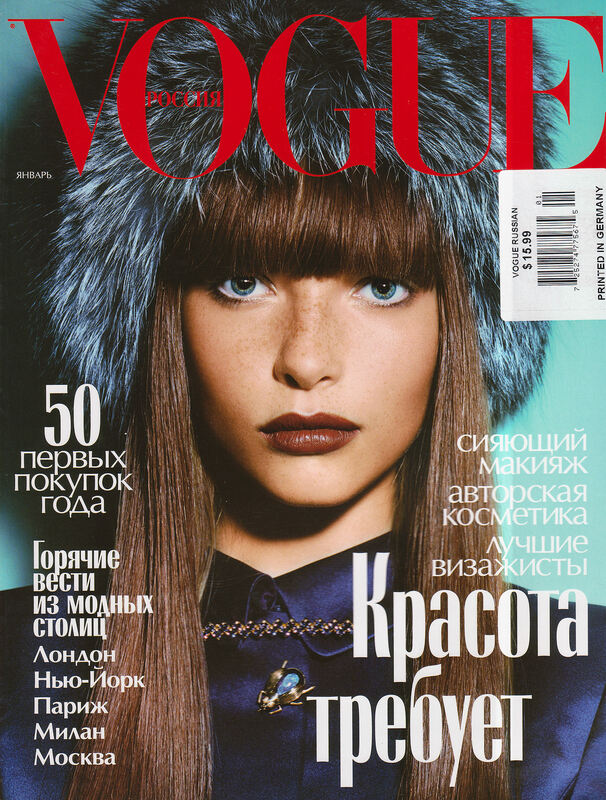 Voguee Russia January 2004, by John Akehurst. Photographed by Oliviero Toscani for Vogue Russia June 2004. Vogue Russia January 2005, by Nicolas Moore. Alongside Lisa Cant for Vogue Korea December 2005.